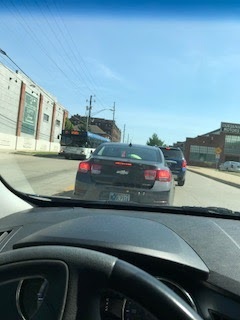 The traffic downtown is a mess and I've had to mess with it WAY more than I wanted. It took me 20 minutes to get out of the parking garage and a mile down the street, then suddenly, everything opened up. That extra time means that the train that I try frantically to miss...I did not miss. Also, the road in front of work went from a one way street to a two way. 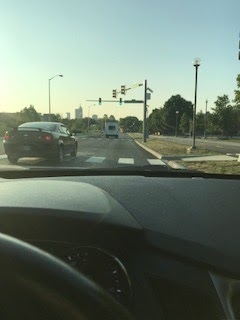 It just opened up after all of the construction and upon driving to work that first day, someone didn't realize it was two way and turned into oncoming traffic at the light and came bearing down on us. TERRIFYING!! !